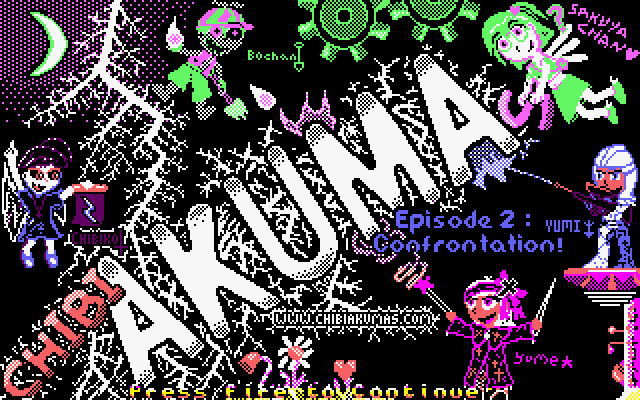 Chibi Akumas Episode 2 is a Bullet-Hell Gothic Comedy shooter for the Amstrad CPC - it features Simultanious 2 player gameplay. 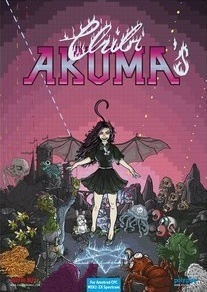 Chibi Akuma(s) is designed to be played with a 2 or 3 button Joystick, as it uses two fire buttons for Left and Right. Your characters hitzone is the small dot in the middle of the character, unless a bullet hits this small area you will not be hurt, by holding down fire, you will move slowly, and you can take advantage of this small hitzone to weave between fire. When you are hit, you will lose a life, and your character will be invincible for a few moments. Chibiko can power up her Magic by collecting "Curse Cubes"... These are Black Magic Curses which have been sealed in a cube. Curse for Victory! try to ensure you get all the curse cubes in a level - with no power ups the end boss fight will be impossible - Use smart bombs, or take a hit to grab them! Remember: Curse cubes only last one level, so you will have to re-collect them when you Level Up! Boss Blasting! 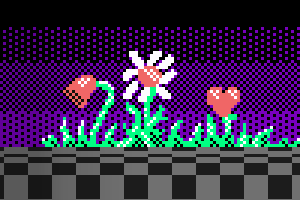 Smartbombs do not damage Boss enemies - you can use them to clear away heavy enemy fire, or boss drones, but only regular blasting will hurt the boss - most Boss enemies will change in appearence when seriously hurt - the last boss has a life bar. Conserve your Ammo! 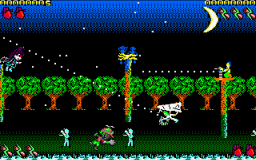 the game engine only allows 36 player shots on screen. with heavy powerups you may find you are unable to fire as much as you want - make sure you aim your fire to hit enemies, and make your hits count! Know your limits! Your hitzone is the small red dot in the middle of you character - you move more slowly while holdi fire so weave around enemy fire - release fire to run away quickly... Also its worth noting your drones are invincible, sometimes you can use them to shoot an enemy just above or below, while you stay out the way! Use TotO Multiplay Use TotO's multiplay Joystick adapter - allows for 2x 3 fire joysticks with no keyclash. 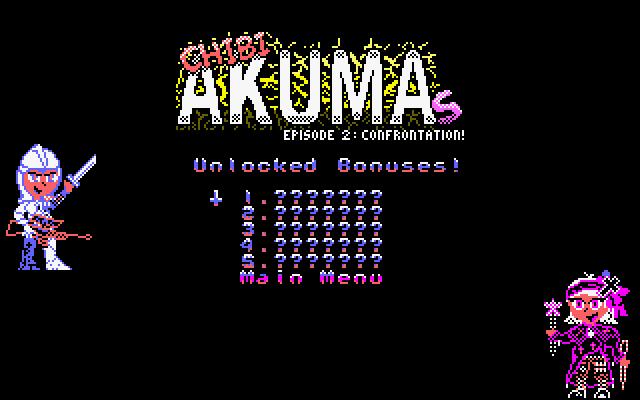 2P Continue Mode in 2 player mode, you can either share the same count of continues - encouraging 'co-operative' play, or each have your own 'continue store' - so stealing all the powerups and leaving your sibling to die will be to your advantage! Unlocked Bonus Menu - With Yumi an Yume! Level 1 - Medieval... Chibiko & Bochan - Attack! Buy a Chibi Akumas(s) Poster from polyplay! 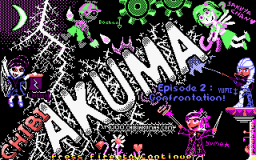 I wrote Chibi Akumas in my spare time, if you like it, and you want me to keep making these games, please spread the word and tell others about my games! This game is not suitable for children - if you think a psychotic monster is a good role model for your kids I think you need to re-assess your parenting methods!